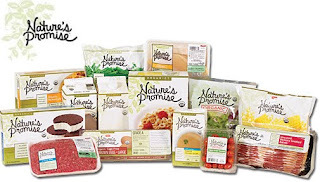 Click HERE for a printable coupon for $1 Off any Nature's Promise purchase. Be sure to take advantage of this coupon soon, it expires 8/22/2009. Nature's Promise is Giant Food Store's brand of natural and organic products. Many Nature's Promise products are favorites at our house. We love the whole wheat tortillas for making burritos, frozen vegatables for our baby, and canned tomatoes and beans to stock the pantry. Several Nature's Promise products do not cost much more than $1, so this is a great opportunitiy to try some healthy organic products for your family.